Philadelphia is the ideal destination for a lightning trip from or to New York as it is only two hours away. The city of Philadelphia is part of the State of Pennsylvania of the United States of America. You may also know her under the name Philly, the city of brotherly love. Philadelphia is one of the oldest and most historic cities in the United States, and the largest city in Pennsylvania. The historic center, the boulevards and the parks you meet offers a special experience. 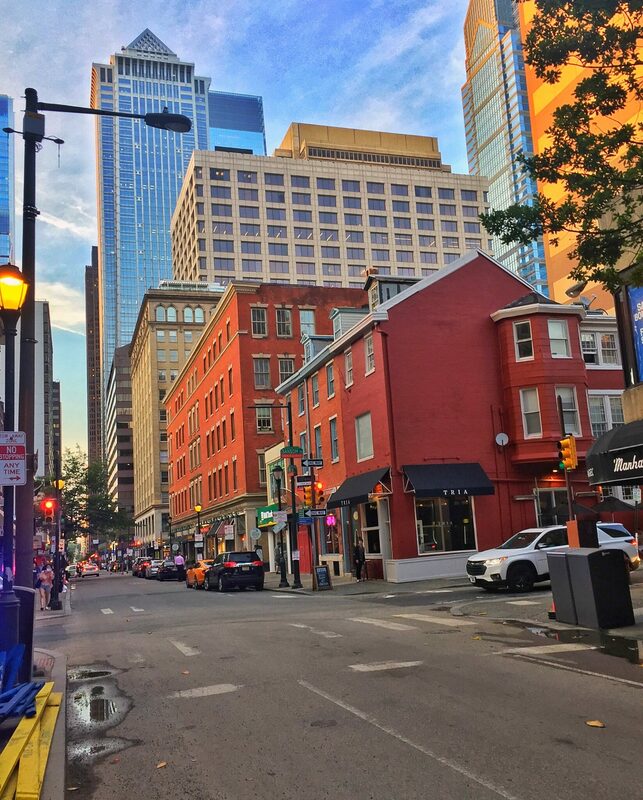 We could say that Philadelphia has the aura of a characteristic urban city. A city that never rests. Strong life with fuss in the streets. 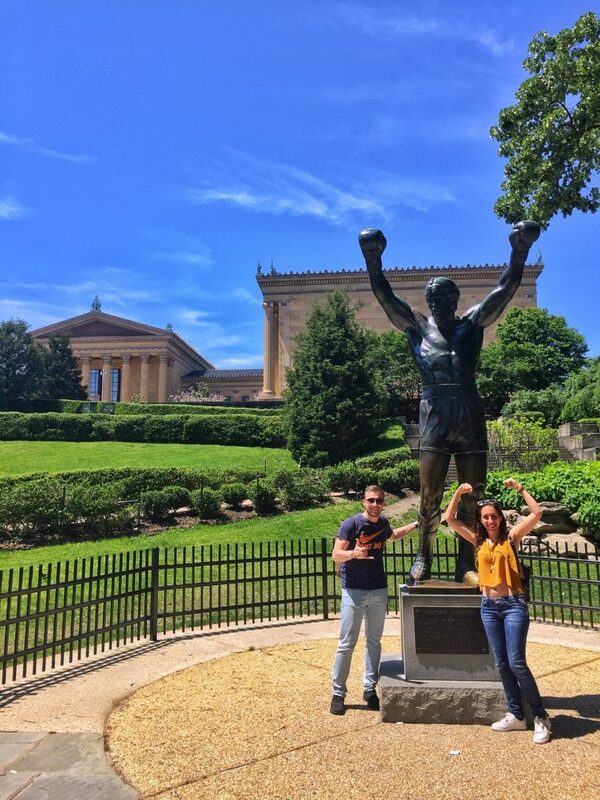 What sights of Philadelphia you should definitely visit! As we said, Philadelphia has a great historical significance and stands out for it among all the states of North America. 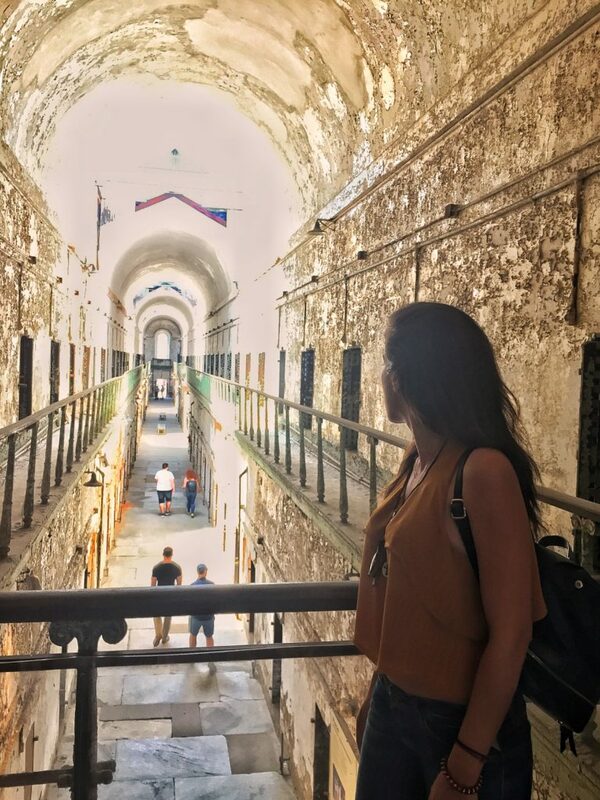 Our first stop was at the Eastern State Penitentiary (ESP), an abandoned prison that has opened its gates to the public. After paying our ticket ($ 16 per person) we started the tour. At the price ticket you also get individual headphones that helps you learn all the details of the prisoners’ lives and work. ESP has hosted some of America’s most famous villains and criminals. The building is designed in a unique radial way, a design that has been copied by many prisons afterwards. Among the cells you can see the cell of Al Capone, which was luxurious and with many amenities. 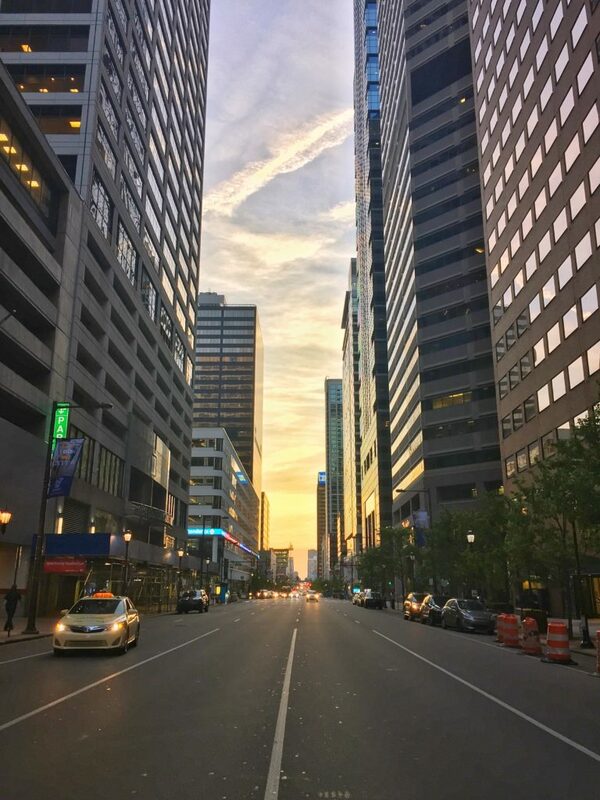 It is a boulevard surrounded by important Philadelphia cultural buildings and a lot of green areas. Along the way there are flags from all over the world, making the scenery colorful and joyful. 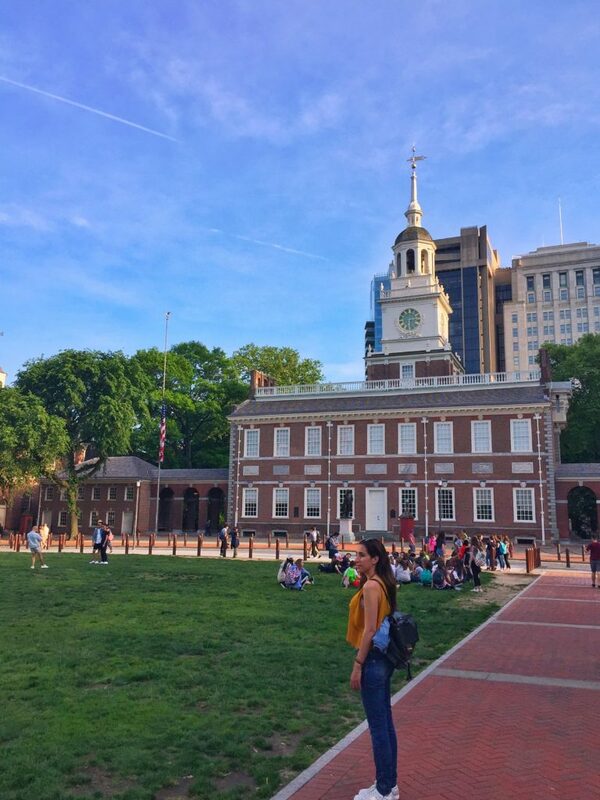 It is a UNESCO World Heritage Site since in 1776 the United States Declaration of Independence was signed in this building. It is a good idea to get your ticket from the visitors’ city center. 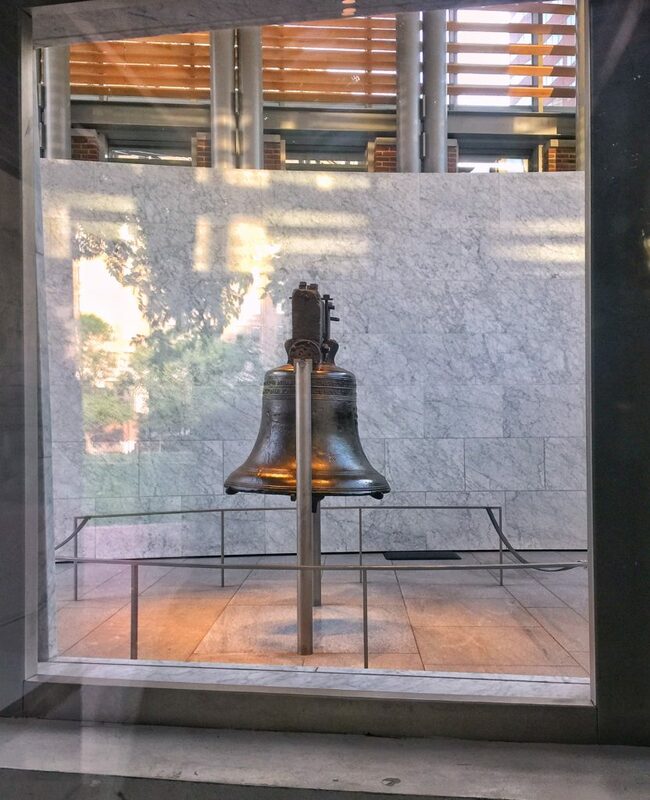 The Liberty Bell Center is located in the most central part of the city and a symbol of the center is the Liberty Bell bell. The bell beat and distributes the freedom, justice and independence of the nations. Admission is free of charge. In this museum you can find exhibits of US art and history. The stairs in front of the museum is a film icon place from Rocky Balboa’s movie. Yes we did the same run as Rocky did! On the right hand side, just before climbing the stairs, there is the Rocky statue. It is a great park in the city center. You will find many people and friends relaxing on the lawn, eating on a bench or even make wedding suggestions. Rittenhouse Square is surrounded by many restaurants or bars. You can enjoy your coffee at OCF Coffee House. There you will find a friendly and relaxed environment to enjoy the classic American coffee. If you are hungry and you want to enjoy a classic American sandwich we recommend visiting Pat’s King of Steaks. Try the American cheese steak with $ 11! For beer you can take a stroll from Independence Beer Garden, a beautiful relaxed area. Philadelphia is a welcoming city that welcomes its guests. What are you waiting for? Book your tickets and make a visit! If you want click here to discover more places in USA. Thank you very much Antonio for your words. We hope you will visit Philly and have fun, it’s a really nice place. Happy month! We are glad that you liked it Antonio, we hope you will enjoy your tour too. Send us your experience and if you liked it. Nymphaio: A beautiful city in Florina!